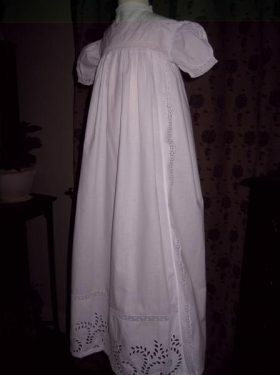 A delightful cotton Edwardian baptism gown, with classic lines and in immaculate condition. 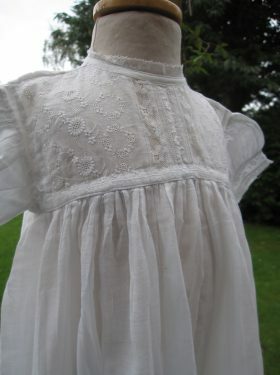 The Bessie gown is pretty, it is delicate and perfect for boys or girls. 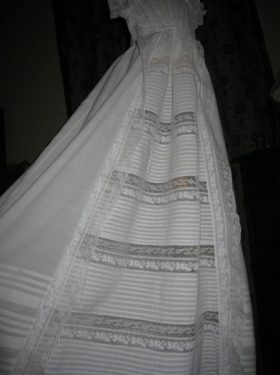 The high necked yoke feature typical vertical lace bands and panelling on the front. 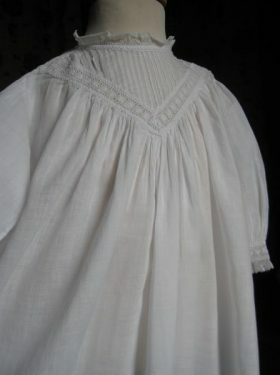 The long sleeves are three quarter length and edged with lace trim to match the yoke. 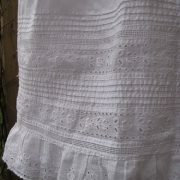 The skirt is long and fullsome and the beauty lies in the broderie anglais and pintuck decoration. 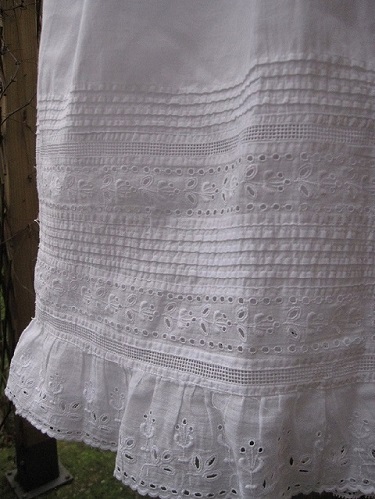 A floral broderie anglais edge finishes the gown off perfectly. 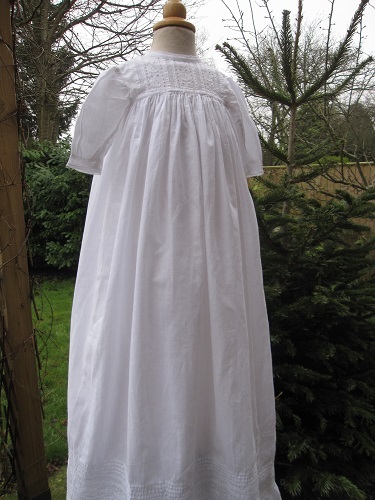 An Edwardian style petticoat is available from Little Doves to compliment this Baptism Robe. Fits an 18 inch chest perfectly. Length 36 inches. 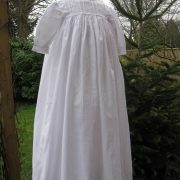 All in all a beautiful gown that is sure to delight for many more christenings.